After my last post about re-ripping CDs, it occurred to me that I should do some re-ripping myself. 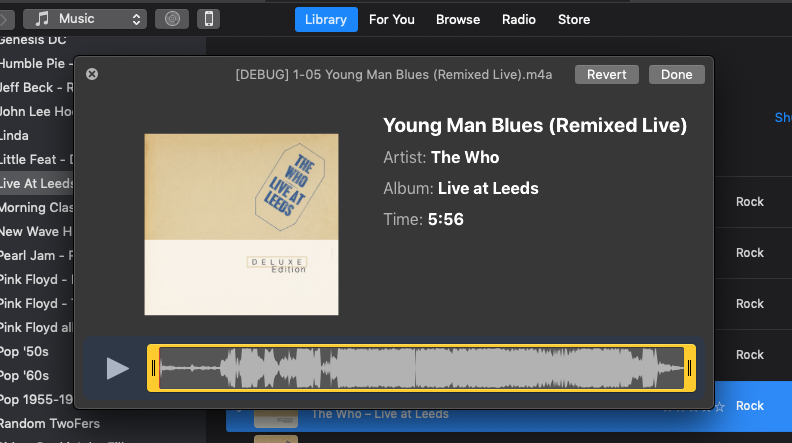 So, as discussed in the post, I was able to confirm that iTunes does warn you about tracks you’ve already ripped (tracks with the same Song Name, Artist and Album) and then offers to “Replace Existing”. However, it only tells you this after you’ve engaged “Import CD” and advanced past the encoder settings dialog. I would much prefer to be aware of these tracks and any potential anomalies before engaging the rip so I can make any alterations to accommodate more efficient ripping. For instance, what file type, bit and sample rates are these already ripped tracks? How many of them are there? Are there any duplicates? The TV Shows library can show you Watched shows and Unwatched shows. And how much time is left in shows you’ve started. But there’s no way to sort these unfinished tracks or gather them all together, say, with a Smart playlist rule. property tvPlaylistName : "_Un-Finished TV Shows"
Open this in Script Editor by clicking the little little script icon above. 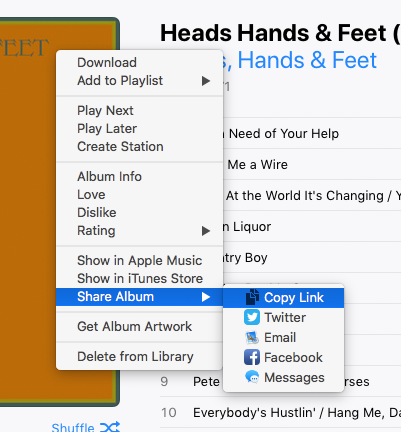 Save it named whatever you like with the Format “Script” (.scpt) in your ~/Library/iTunes/Scripts/ folder so that it will be listed in the iTunes Script menu. This script will need to be run manually every so often in order to refresh the playlist. Follow the instructions on this page to add a keyboard shortcut. For Smarties: tracks in other libraries use the bookmark property (some by default) as well. Podcasts, Movies and Audiobooks can be sorted using a smilar script that targets those special kind libraries. A Twitter denizen inquired how to be able to tab between two or three button in a dialog instead of having to use the mouse to click the one in particular. Go to System Preferences > Keyboard > Shortcuts. At the bottom you will see a setting for “Full Keyboard Access”. Click the button next to “All controls”. Afterwards, you’ll notice that selected buttons will have a focus ring. You’ll probably notice some other UI elements will have focus rings, too. Which is why I only toggle it on (Control-F7) for testing. It’s a bit too distracting for regular use at my house. I mention this as a tip because many of my scripts use two or three buttons and if you are mouse-averse and keyboard-loving then it should be a treat.